I would like to receive occasional information and updates from Philippa Tomson COCO and jumblebee. Welcome to my Silent Auction. Next month I will be trekking to Everest base camp in aid of COCO. Founded by Olympic running legend Steve Cram, it helps provide a brighter future for children and their families all over East Africa. During the next few weeks you'll be able to bid for some money-can't-buy prizes. Thank you to all the wonderful people who've supported me with this challenge and this auction. Hopefully there's something special which will appeal to everyone. Good luck and start your bidding now! First class return rail travel for two to Edinburgh along the Virgin Trains East Coast route. Enjoy some wonderful Scottish hospitality with a night's stay plus breakfast at the luxury Caledonian Hotel. The former Victorian railway hotel nestles in the shadow of the historic Edinburgh Castle. Just a two-minute walk from the designer stores and fashionable bars of George Street. Terms and conditions: prize is for two people. Breakfast must be taken on a Friday or Saturday. Cannot be redeemed during high-peak periods or busy event weekends. Minimum bid is £650 (Bid increments are £50). Are you mad about football? Or just huge fans of these two fellas? Now you can bid for two tickets to the live show 'Goals On Sunday' with Ben Shephard and Chris Kamara. Even better, you'll be able to meet Ben and Kammy after the show. One of Sky Sports' Marquee shows, watch as the show is broadcast live from the studio floor and also from the technical gallery. 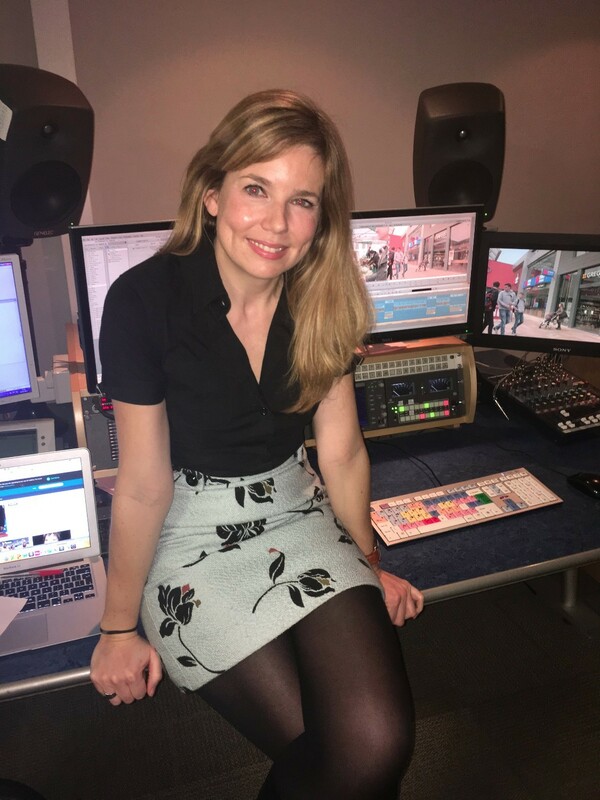 Get a real insight into what it takes to get one of Sky's longest running and best loved shows live on air each week. The show airs Sundays from 10:30am on Sky Sports 1 and Sky Sports 1 HD. Item kindly donated by Ben Shephard. Terms and conditions: Prize to be arranged in agreement with Ben Shephard and Sky Sports. Travel to Sky Sports Studios in West London not included. Want to know what really goes on behind-the-scenes of Britain's biggest breakfast show? 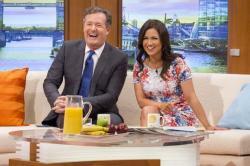 Fancy meeting Piers Morgan and some of his co-presenters? Enjoy an unforgettable experience by spending the morning on the set of ITV's Good Morning Britain. You'll be able to sit in the studio gallery and watch the show's transmission, visit the green room, try your hand at doing the weather and have a go at reading the news from the studio desk. A host of Hollywood stars, celebrities, Royalty and politicans have all graced the sofa since the show launched in 2014 so who knows who you'll bump into! To top off this exciting morning, you'll also get to enjoy breakfast with me in the studio canteen after the show. **Terms and conditions** Prize for two people. To be taken on a date agreed with ITV's Good Morning Britain. Travel not included. Minimum bid is £120 (Bid increments are £20). 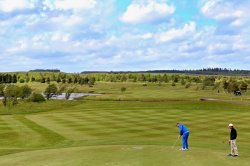 Longhirst Hall Golf Club is situated in the beautiful Northumberland countryside. Here's your chance to enjoy a fabulous round of golf with friends in a stunning setting. This prize is a round of golf for 4 including buggies on the PGA Europro tour Dawson course. Karen Pickering MBE was four time swimming World Champion. She won 14 European Championship medals and 13 Commonwealth medals including 4 Gold during her remarkable career. With her expertise, Karen is looking forward to giving one lucky bidder an hour's swimming lesson they won't forget at Chartham Park Golf & Health Club in West Sussex. Even better, a night's bed and breakfast is waiting for you at the nearby stunning Gravetye Manor before or after your lesson. The lesson is suitable for people looking to improve technique &/or fitness. So pack your swimming gear and get ready to jump in that pool! Terms and conditions: Bidder must already be able to swim. Prize to be taken by December 31st 2017. Accommodation voucher may only be redeemed once, may not be exchanged for cash and is non-transferable. Subject to availability. Chinese stray desert dog Gobi melted hearts the world over with her story of love and devotion to ultra marathon runner Dion Leonard. Dion was running through the Gobi desert when the little stray dog appeared out of nowhere and began following him - for a whole 80 miles! They crossed the finish line together and are now inseparable after Dion brought Gobi back home to Edinburgh. Their story is so incredible that it's being turned into a Hollywood movie. Now here's your chance to meet them before they get too famous! You can see the sights of Edinburgh on an exclusive 5-mile run tour with Gobi. You'll get a signed copy (both Dion and Gobi pawtograph) of the wonderful memoir Finding Gobi before its release in June. Then chill out afterwards with a spa treatment for two including bubbly and one night's overnight accommodation and brekkie at Village Hotel Edinburgh. A fantastic day with a little legend......don't forget to bring the doggy treats! English cricket fans will soon see KP in action when he returns to Surrey in the T20 blast. In recent months, he's been playing for Melbourne Stars in the Big Bash and the Quetta Gladiators in the Pakistan Super League. Now you can own one of his shirts, signed by the man himself! Minimum bid is £150 (Bid increments are £50). Ben Shephard's last donation was so successful that he's kindly given COCO another prize! This time it's two tickets to be in the studio audience of Ninja Warrior UK - the toughest obstacle course on television! 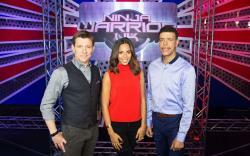 Ben hosts the show alongside his fellow Goals On Sunday co-presenter Chris Kamara, and Rochelle Humes. You'll be invited backstage before the recording to met Ben. Terms and conditions: Prize to be taken during filming between August 14-22 2017. (Filming doesn't take place on weekends). Travel to studios in Manchester not included. Minimum bid is £200 (Bid increments are £50). 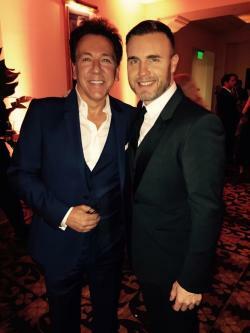 Good Morning Britain's Ross King rubs shoulders with some of the world's biggest stars in his job as LA correspondent. And he's collected a few goodies along the way which he's donated to this charity auction.